Running a business is tough work. Trust us, we know exactly how much blood, sweat, and tears goes into keeping your company going. That’s why the last thing you need to worry about are problems with locks, because as a local commercial locksmith with years of experience, we have the ability to handle any challenge you throw at us. From simple tasks such as changing locks to designing complex master key systems, and safe installations and repairs, we do it all. Nothing is more frustrating than realizing that you’re locked out of your premises because your keys have been lost or stolen, especially when you have sales to close and employees eager to get to work. Well, don’t worry because our fast response services are legendary. 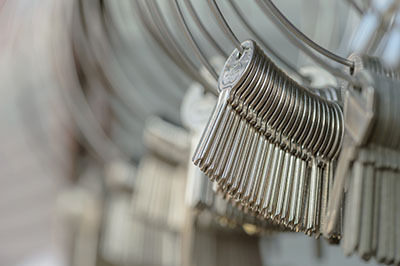 We can be at your office, warehouse, or factory to rekey your lock before you know it and to ensure that it works with a completely new set of keys. We also provide prompt repair and replacement of damaged locks. We work with a wide range of makes and models from the leading brands of commercial locks such as Schlage, Kwikset, Medeco, and Yale among many others. Many business owners think that setting up a master key system is something that only large facilities have to think about. The truth is that any size of premises can reap the benefits of better access management. Whether you’re a one-man operation with a small office or the building manager of a high-rise building, we’re able to provide a solution for you to manage the areas that cleaning and maintenance staff as well as tenants can gain entry to without compromising security. Master key planning can turn into a nightmare if it’s not carefully thought out, but you can trust our experienced technicians to apply their expertise and logic in designing a system that meets your needs. Our commercial locksmith services don’t stop at the installation and repair of door locks. We’re skilled in safe installations as well, ensuring that your important documents and equipment are kept in a secure place. Whether your main concerns are fire or burglary protection, we can recommend suitable options for you. We’re also able to open a locked safe if you can’t find your keys or remember the combination, while taking the utmost care to avoid damaging the unit. Don’t hesitate to call us today for unbeatable service.